Boston, Massachusetts, U.S.A. - March 14, 2018 - After taking a two year hiatus from the visual effects plug-in industry, Alan Lorence, former wondertouch founder and GenArts product manager, joins the Boris FX™ team as Product Manager. 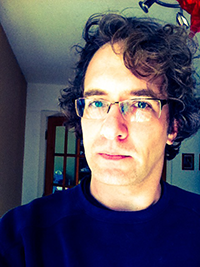 The addition of Lorence brings his career full circle as he is set to relaunch Particle Illusion, his first major contribution to the visual effects industry. The renowned sprite-based particle generator for creating motion graphics elements like smoke, fireworks, and sparkles was acquired by Boris FX from GenArts in 2016. The Particle Illusion reboot will feature an updated user-friendly interface, new emitter libraries, and lightning fast GPU speeds. Particle Illusion will be available as part of Continuum 12 and the Continuum Particles Unit slated for later in 2018. 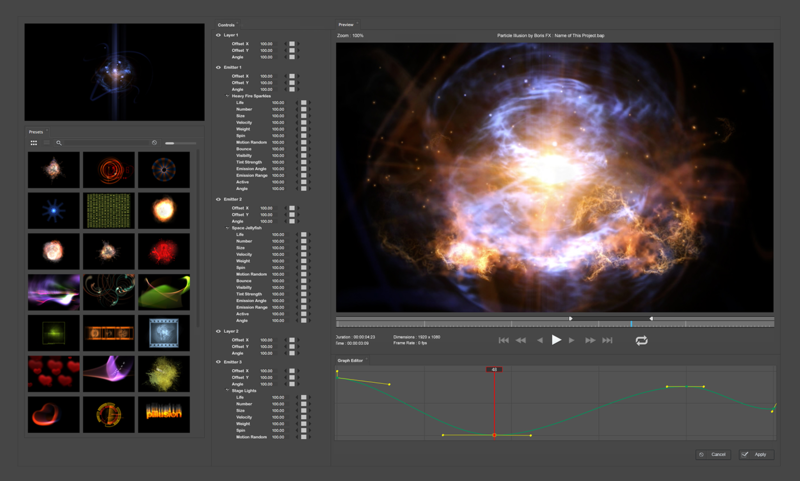 Particle Illusion technology previews will be available at the National Broadcasters Association (NAB), April 9-12, Las Vegas, Nevada, Booth SL7620. To set up an interview, please email: Jessie Electa Petrov, jessiep@borisfx.com.